Yvonne Pat Wright describes herself as “the most full of hope person that exists.” She hopes and waits eagerly for the Lord to come again; she hopes she will get married again; she hopes her book will sell one million copies or reach one million people and that a great percentage of those persons will come to know and love the Lord. She hopes that she will wake up one day and all her excess fat will have melted away; she hopes she will come into enough money to set up a multi-facility home for homeless/wayward children on a paradise island. And she hopes that tomorrow will be the day when one of these hopes get struck off her list. In the meantime she’s happy just being hopeful. She loves the sun and struggles to make it through the dark gloomy days that are typical of the weather in the UK. The moment the sun comes out her mood changes and she’s enlivened. And thats spawns another hope… to return to her island home Jamaica one day soon. Although she loved to scribble as a child and used her vivid imagination to write engaging short stories in school, she does not describe herself as having a passion for writing. She always said she would write her autobiography so she could bare all, thinking its salacious contents would make good reading. The idea for that kind of book died a natural death when she became a Christian as she felt that some of those details would not glorify God. Being fully convinced that the Lord wanted her to write From Spice to Eternity,she finally turned her mind to the task. From Spice to Eternityis a teaser about her life, only barely hinting at separation from an abusive husband, grief when her elder daughter is shot and killed, the pain of losing a grandson who has disappeared into thin air over ten years ago and other suffering she’s lived through, yet tinting those with the happy joyous memories that came along the way. 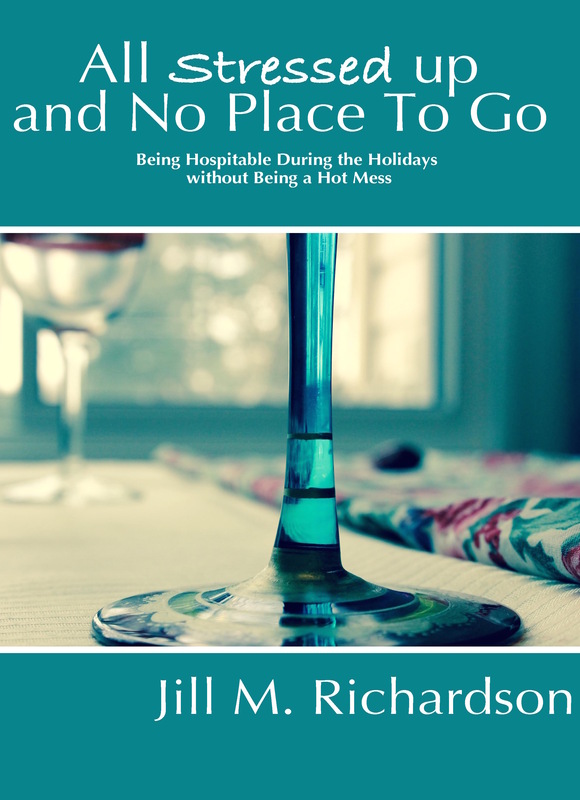 Her book can be variously described as inspirational, motivational, memoir, and devotional. In it she shows a coping strategy when life throws unexpected balls, curved or otherwise. The Bible is an integral part of her life and she studies daily, committing verses to memory which she will quote on demand. 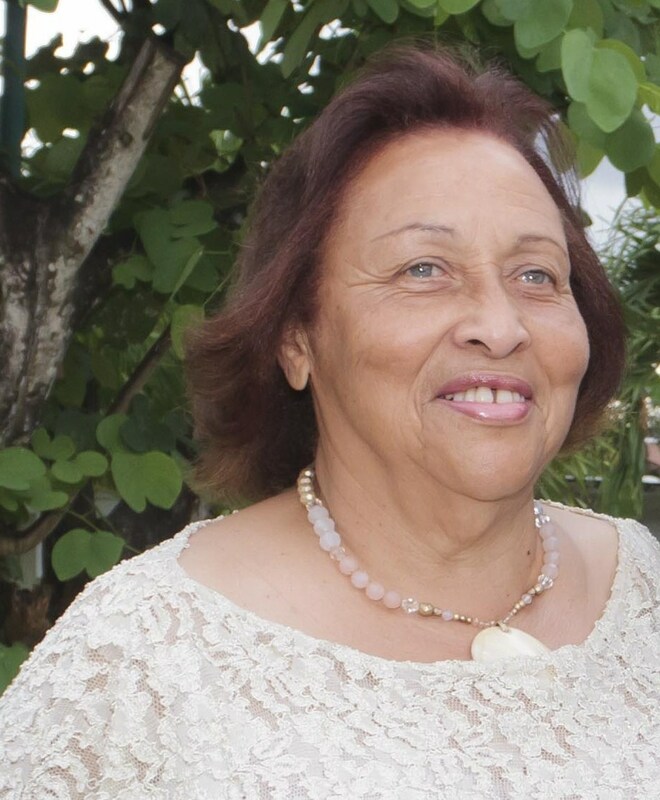 Serving in her faith community, the Seventh Day Adventist Church, is a big part of her life. She eagerly accepts the call to preach and teach the Bible. In her book From Spice to Eternity, at least one Bible passage is quoted to show that the Bible is a practical help in providing a solution for every situation. Her book cites facts about herbs and spices and has some forty recipes drawn from around the world, allowing her to display her knowledge of the craft, especially learned from her course in the culinary art of using herbs and spices from the South African Herb Academy. So what would make life most enjoyable for this over three score and ten going on thirty five grandmother, soon to be a great-grandmother? The ability to tame her fertile mind which never quits churning out things to do. To be able to have a functioning computer and not be tempted to switch it on and become caught up o the internet, but rather spend days upon endless days reading the Bible, any other books of interest, in some warm climate with nothing more to do than hope that all that she hopes for will be realised…..one day soon. 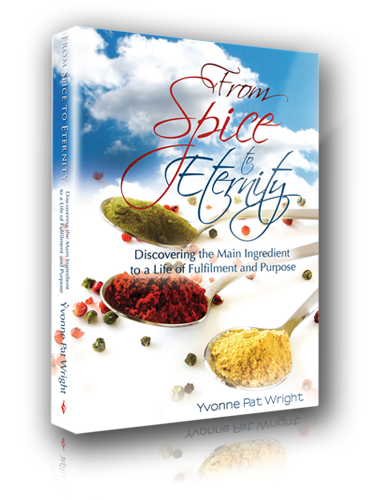 To purchase a copy of From Spice to Eternity, plus receive her one-day-only free gifts for this special book launch, visit: http://yvonnepatwright.weebly.com. Thank you, Judy! I enjoyed it as well, and I would love to sit with her either in England or Jamaica!